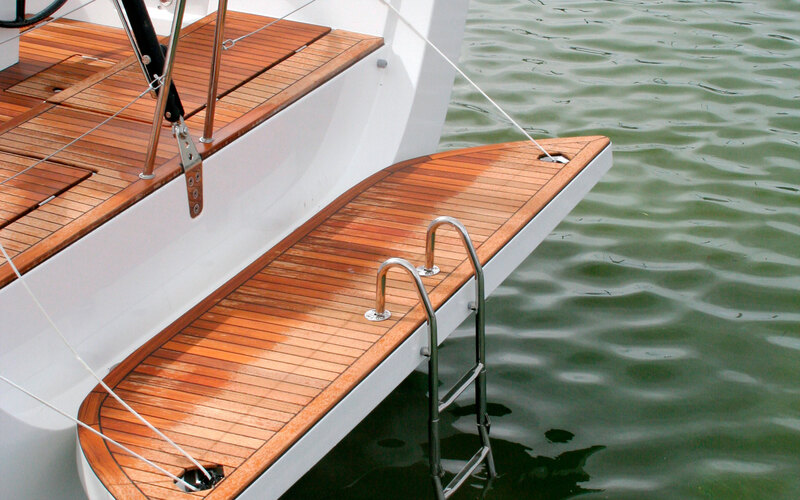 Swimming platforms – make the best of every inch of your boat! 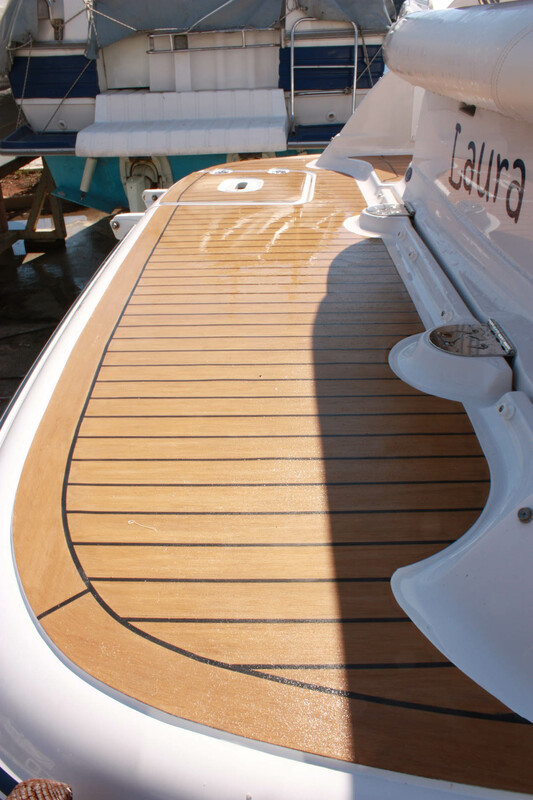 A swimming or a stern platform is an integral part of any boat, as it is well known that every inch counts when it comes to boats. 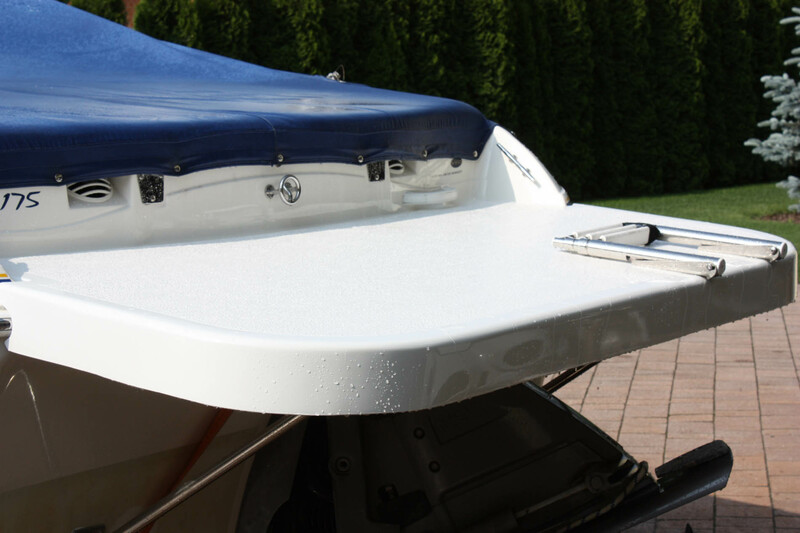 It also plays an important part in safety, as it covers the propulsion section of the boat. 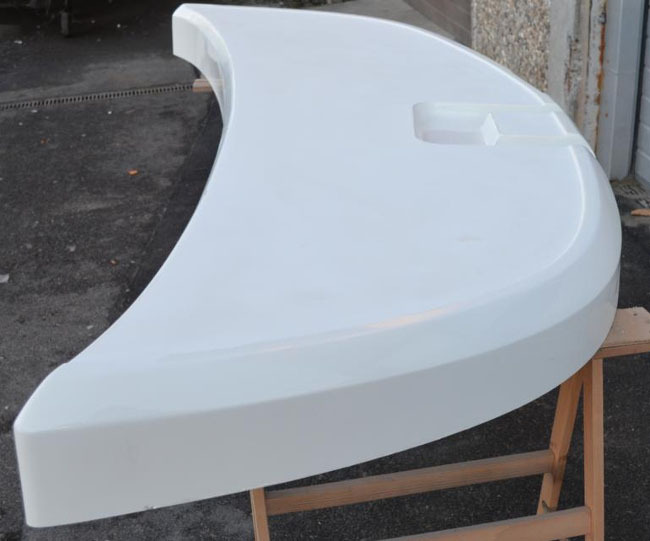 Swimming platforms are made from polyester resin and shaped based on your order, mostly according to boat dimensions and customer wishes. As our client you can choose from a variety of colours and many options, such as LED lights / underwater lights etc. 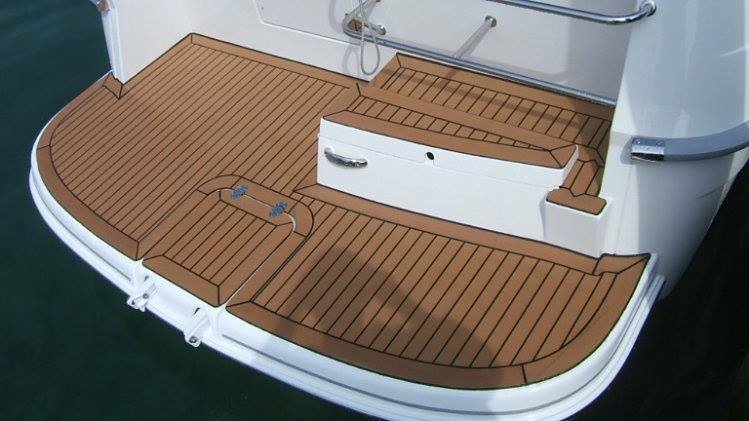 On request, we also install walking surfaces on your swimming platform, which are made from genuine teak wood, Flexiteek or P deck. Swimming platforms provide an easy access to the sea. The staircase can be hidden under a cover, so that it is not in the way, if not used.